What you see here on these pages is a hobby that’s got out of hand. A sideline to my career that’s slowly made my career the sideline. I had been working as a fashion/denim designer buying vintage clothing as “inspiration”, while unintentionally accumulating a vast collection of my own. It’s a small part of this collection, procured from all around the globe, that you’ve stumbled across. Once you’ve fallen for the hues of blues there’s no way back. There’s no other fabric that is so alive, responds so subtly to the passage of time, and translates the history of its wearer into such delicate shades. It’s been a part of me before I knew it was. A fixed point around which my creativity extended and evolved. 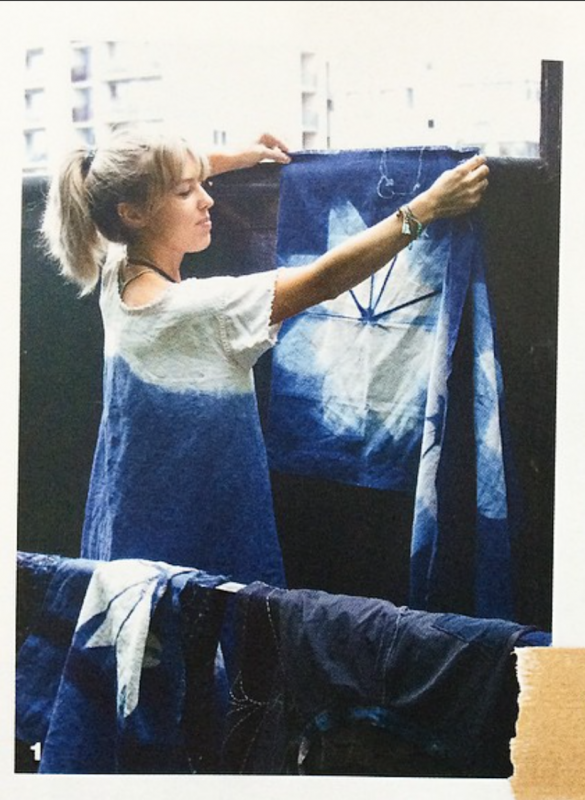 In my atelier in Amsterdam where I collect and repair old blues, over-dye my “holy” pieces in indigo, make cyanotype prints and use old denims to make quilts and pillows out of we now give workshops too. As for my site’s name, “Toile de Chine”, that was the name given the first Indigo dyed fabrics imported from the far east – until that time, Europe had obtained its prized indigo from Woad. The Asian plant, Indigofera Tinctoria, proved to be a source of a far more intense and vibrant blue – what we now call, “True Indigo”. This new dye was applied to a tough sateen weave cloth that was used to construct some of the first items of work-wear. Seeing as these French Sateen garments are some of my favorites, the name was chosen for me!